A fitness orientation is required for members 12-15 years of age who wish to use cardio or resistance equipment. This will cover proper form and safety. 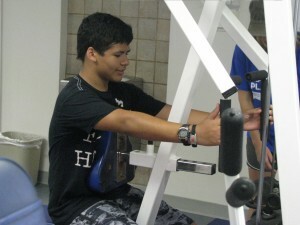 Students will gain a better understanding of how the body functions during exercise. Students will receive a “Fit Pass” that will allow them to workout. Call to schedule an individual appointment.